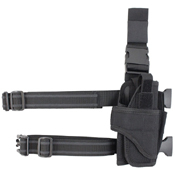 For a faster draw in the field, depend on the Raven X Drop Leg Pistol Holster. 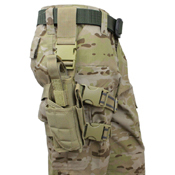 This tactical panel can accomodate one pistol with a laser or flashlight mount and one magazine. 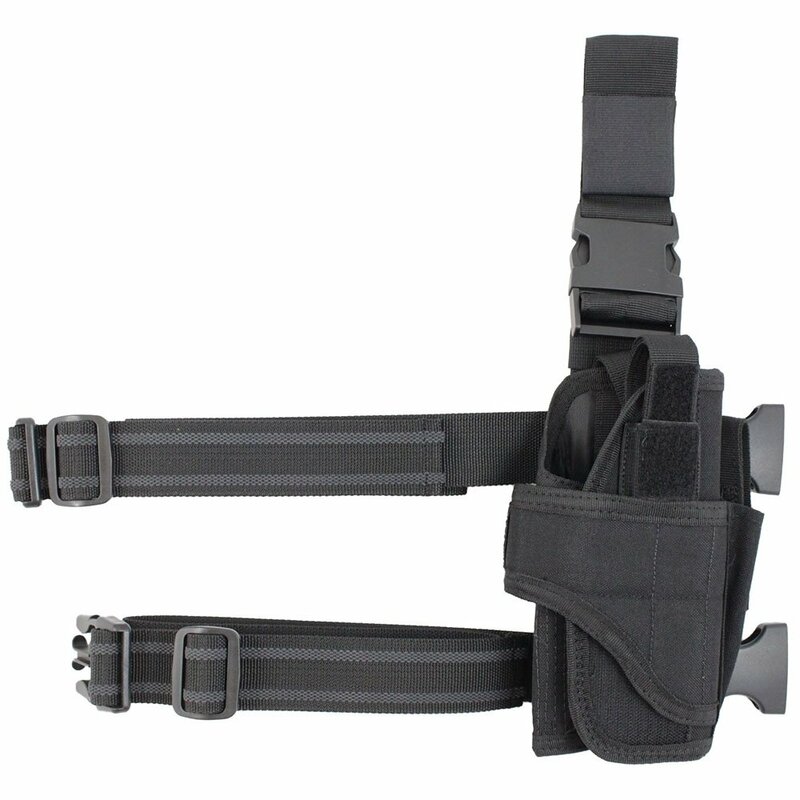 The holster features adjustable straps for a customized fit and quick release buckles for easy on and off. 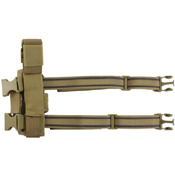 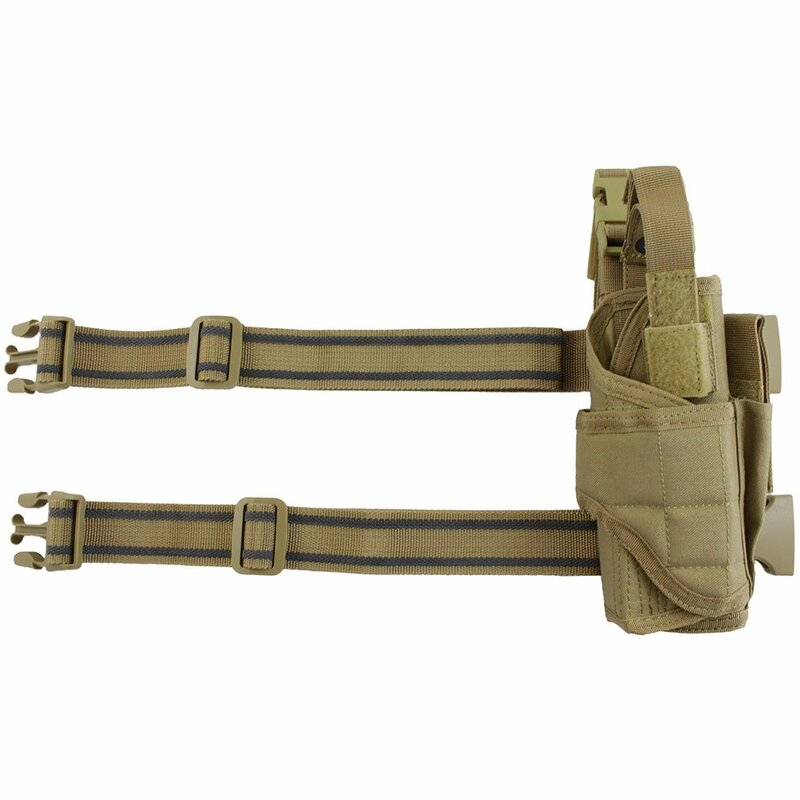 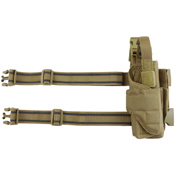 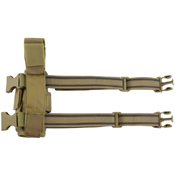 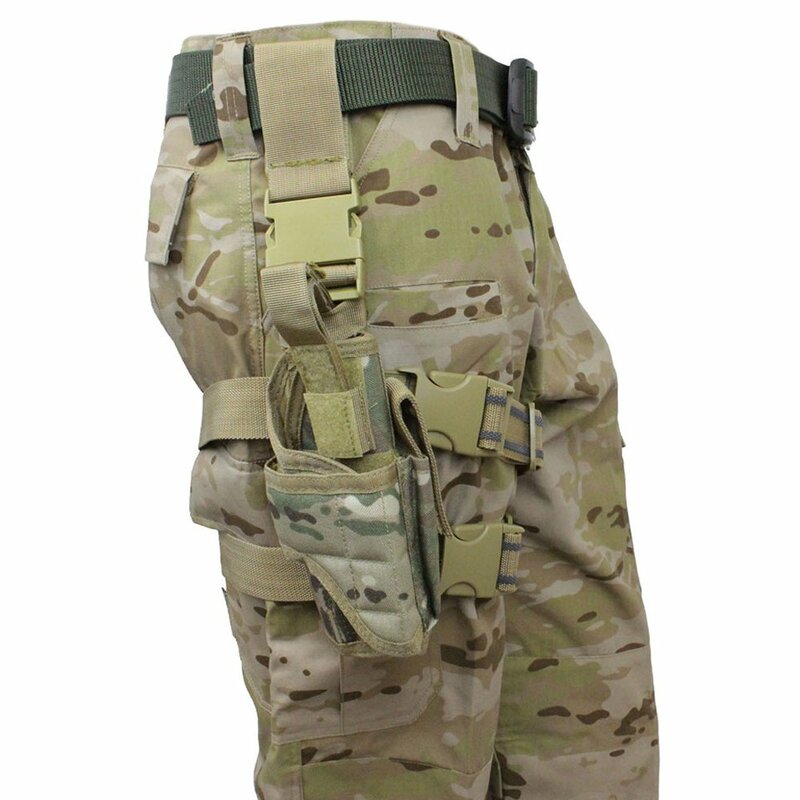 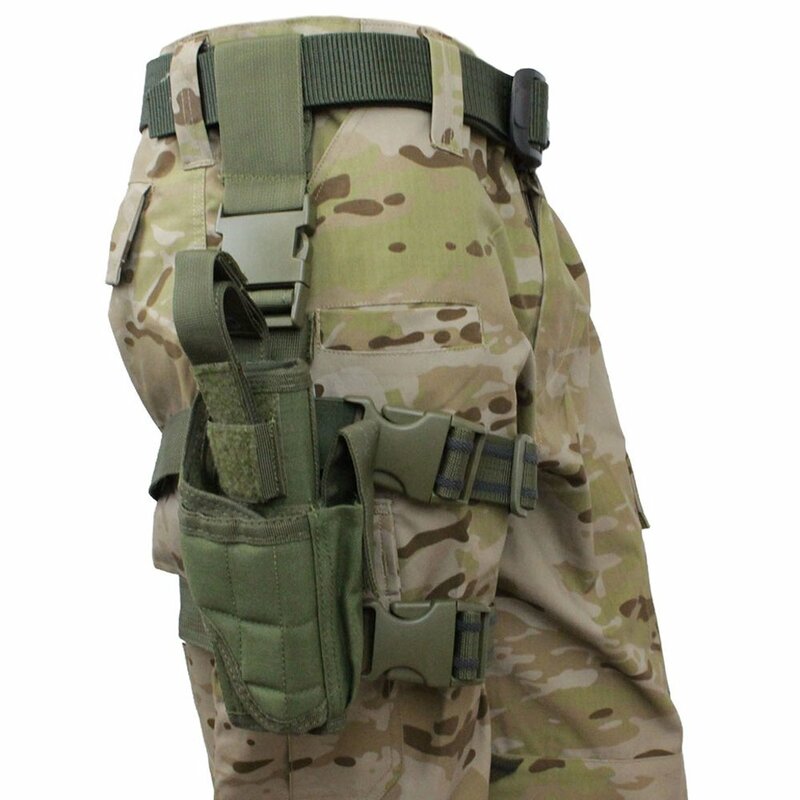 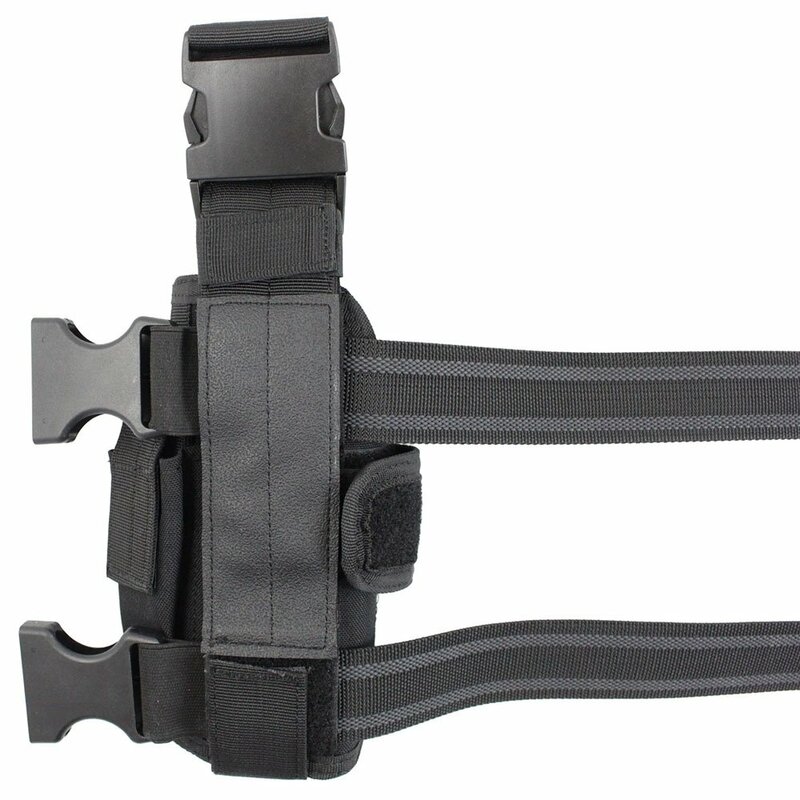 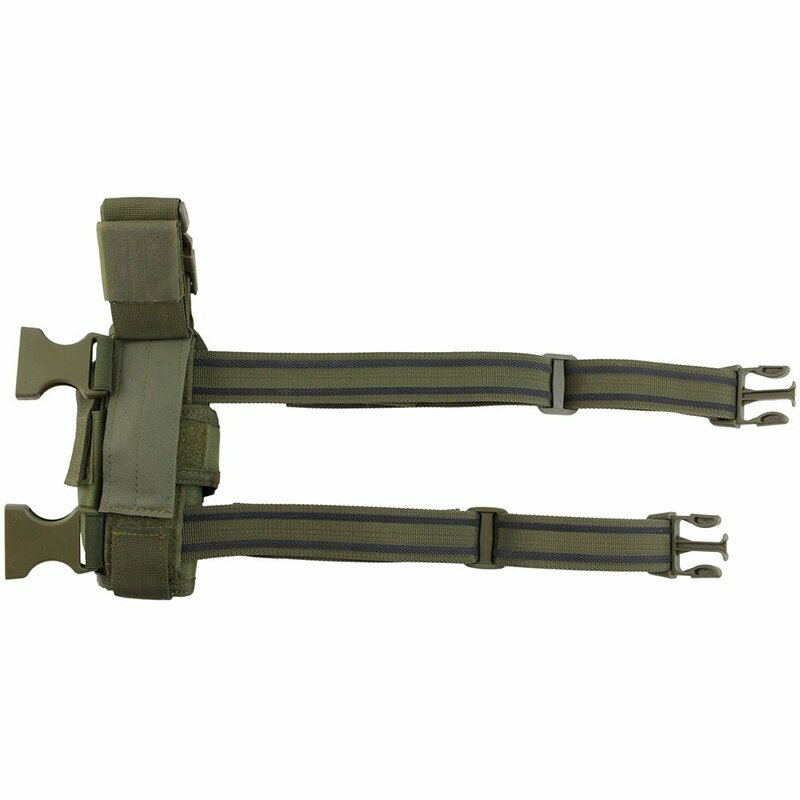 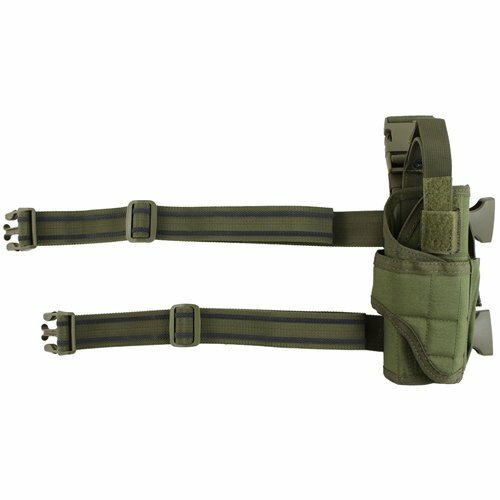 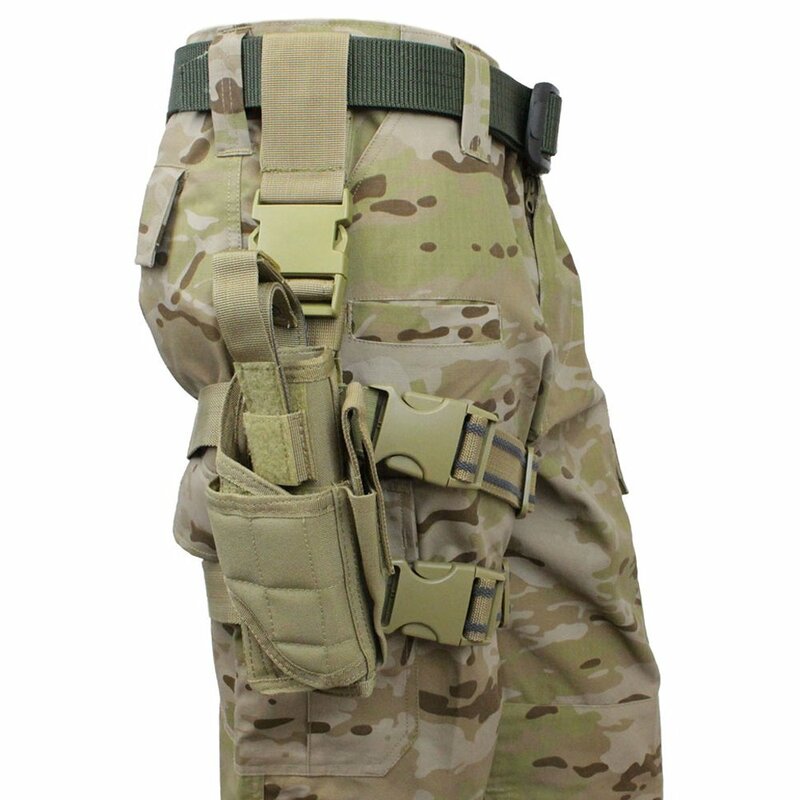 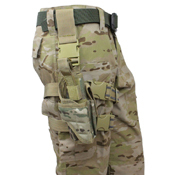 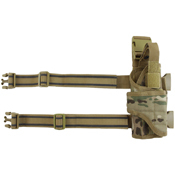 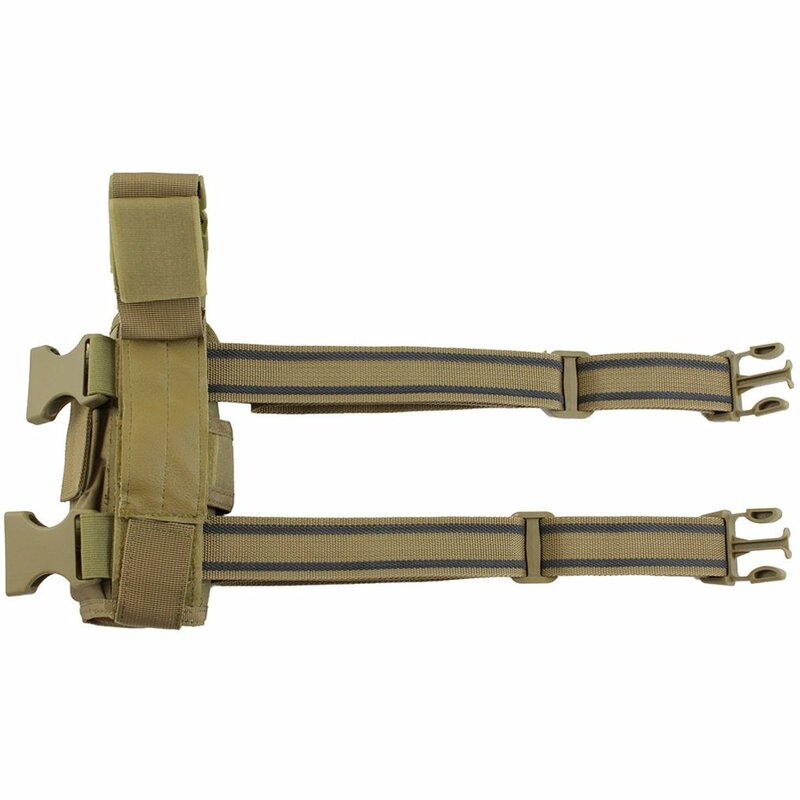 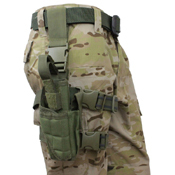 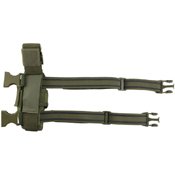 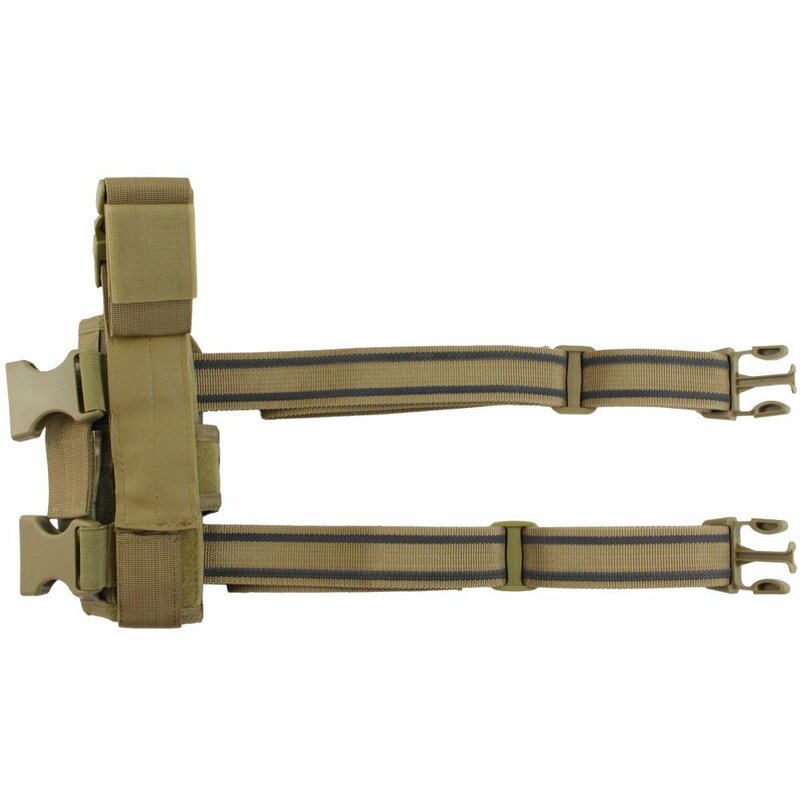 Drop leg panels and holsters provide a hands-free carry system for tactical operations. 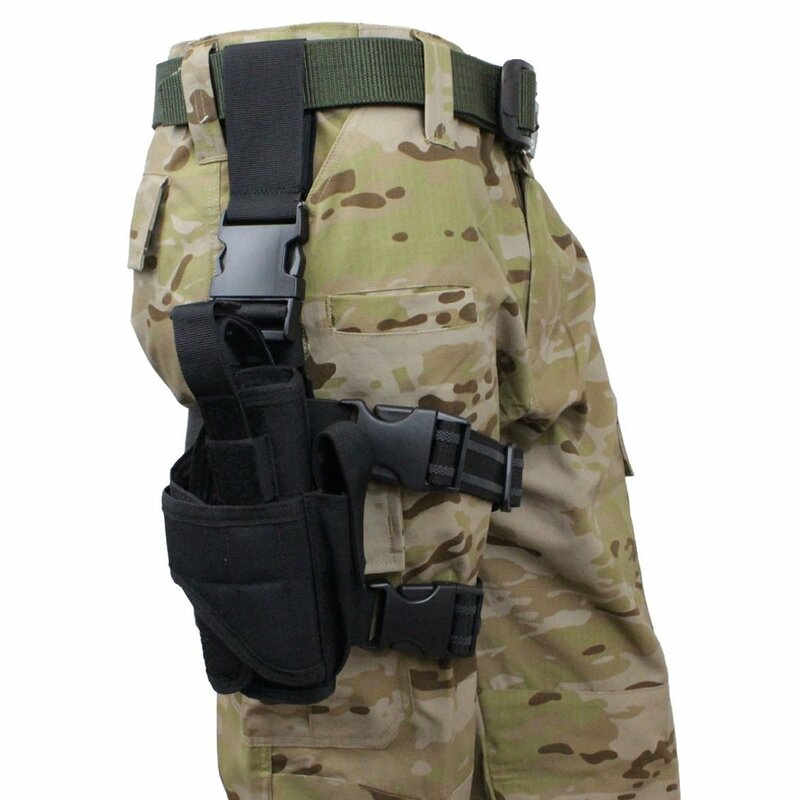 This set-up is particularly useful for law enforcement and members of the armed forces.